Russia’s port capacity could grow by 3.8% in 2017 and surpass 1 billion tons, according to the forecast of Executive Director of the Association of Sea Commercial Ports (ASOP), Serik Zhusupov. In past five years the capacity of port complexes has increased by 30%, while the cargo turnover has increased by more than 35% to 722 million tons in 2016. 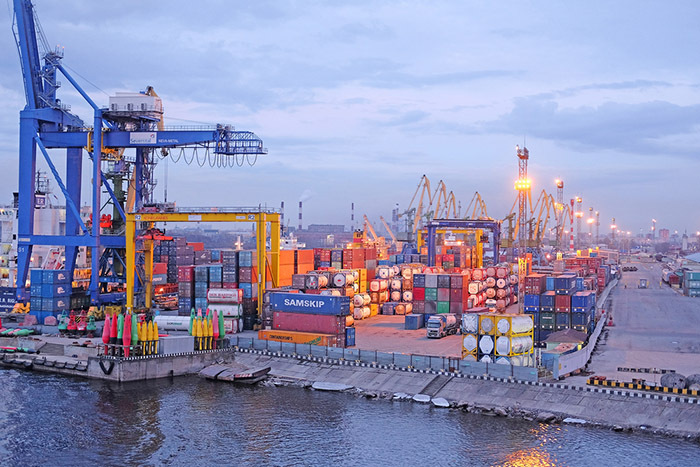 Since 2010, more than 240 billion rubles, including federal and private investments, have been allocated for the development of Russia’s port infrastructure and according to estimated its capacity must reach 1.003 billion tons at the end of 2017. “Over the past five years, the capacity of port complexes has increased by 30%, while cargo turnover has increased by more than 35%”, said Executive Director of the Association of Sea Commercial Ports (ASOP), Serik Zhusupov. “This suggests that port capacities have become more efficiently used and labor productivity has increased in handling of foreign trade cargo. Naturally, this increase in production capacity was the result of large-scale investments, primarily through the state funds within the framework of federal targeted programs for the development of the transport system of Russia for the period 2010-2020”, added he. The international trade is a huge part of Russia’s economy. The major port areas of the country are in Baltic Basin, Black Sea Basin and Far East basin.